Protect your investment with quality OEM replacement parts for Chrysler, Dodge, Jeep and Ram vehicles. When you order Mopar parts, you get proven quality and performance that you can count on. Whether you are planning in servicing your own vehicle, or are leaving your parts installation up to the experts at our certified service department, you can be confident that our auto parts in Bonnyville will fit and do the job they were designed to do. Our experienced, friendly and courteous parts staff is committed to providing our customers with professional service. We stock over 1,400 parts and have overnight delivery available on most special order parts. Order your parts online and we will let you know as soon as they are ready for pickup. We have car and truck parts to fit all of your Dodge Chrysler and Jeep vehicles. You can also call us at (780) 826-2999 to book your next appointment. 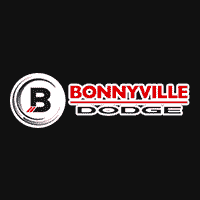 If you interested in giving your vehicle a unique look, Bonnyville Dodge also stocks a vast selection of accessories and will assist you with the selection of items you need to put the finishing touches on your car or truck. Our custom auto parts in Bonnyville include a wide range of tires by all popular brands including Mopar, Michelin, BFGoodrich, Uniroyal, Goodyear, Dunlop, Bridgestone, Firestone, Pirelli, Yokohama and Toyotire. We have tires for all weather conditions, as well as a selection of stylish rims at our auto parts store. We carry an extensive clothing and accessories line that includes caps, watches, models and many unique items ideal for special gift occasions (Gift Certificates are also available). Visit our parts store to see everything that we have available. We are proud to provide parts and service to Bonnyville, Cold Lake, St. Paul and Lloydminster, Alberta.